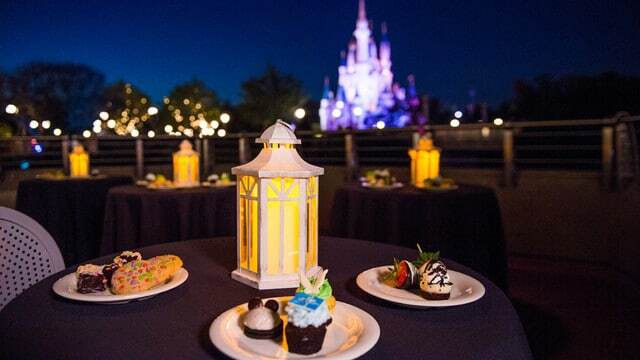 Many people have dining with views of nighttime entertainment (such as Happily Ever After or Illuminations) on their bucket list of things to do when visiting Disney World, or just want to accomplish two things at once - great food with a fantastic view. 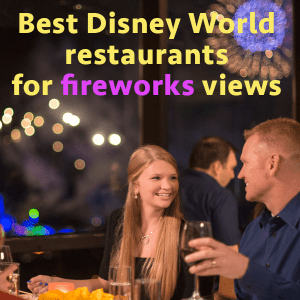 If this sounds like you, here are some tips and a list of the best best restaurants at Disney World for fireworks viewing. Make your reservation for around an hour before the nighttime show is scheduled to start. There is no way to guarantee a fireworks view. When you check in, ask kindly to be seated where you can see/view the show, but know that sometimes it just isn’t possible. If you don’t mind waiting longer for a table, it doesn’t hurt to ask if you can hold out for a spot with a view. 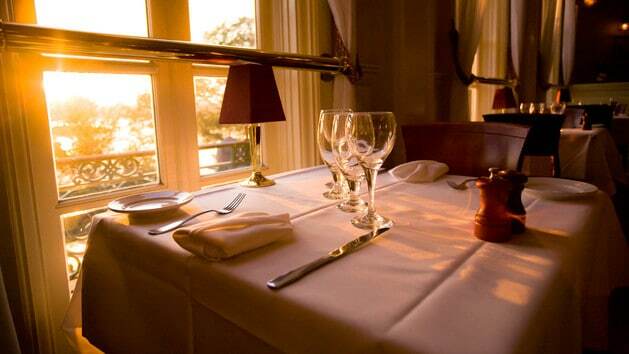 While many tables may be near windows, there are not many that have a “perfect” view. Your line of sight might include trees, pillars, etc. Recent reports indicate that all the restaurants listed below pipe in music for the shows; however, there have also been reports in the past in which some have not. If having the music is important to you, it might be a good idea to confirm that the music will be there before you book. While you can catch bits and pieces of the fireworks from several of the restaurants inside the Magic Kingdom, your best bet to view the fireworks while dining comes from locations outside of the park. It is important to note, however, that while the fireworks will be visible from these locations, the projections that accompany the show will not. Pros: Viewing deck available for patrons in addition to fabulous views throughout the restaurant. Can eat an earlier meal, leave, and then return with your receipt to watch fireworks from the viewing area. Cons: The angle of view from this restaurant means that you’ll be watching the fireworks from off to the side instead of straight on, and you won't be able to see the projections from this distance. 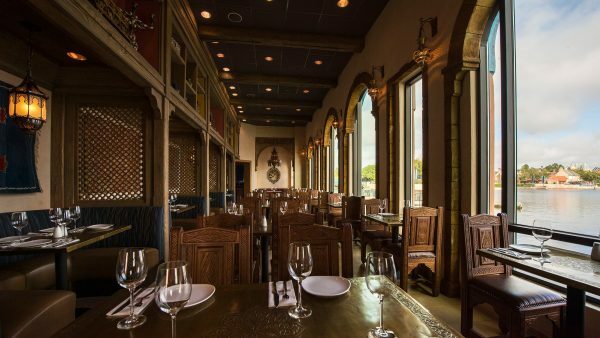 Pros: The interior of the restaurant is tiered, which helps to maximize the number of tables that can see out the windows. In addition, there is a porch available for viewing the fireworks from outside. Cons: Although the deck outside is a pro, it can also be a con since people on the deck may block the views of those dining inside the restaurant. Pros: Cheapest of the options for viewing the Magic Kingdom fireworks while dining. The view of the fireworks appear straight behind the castle and not off to the side. 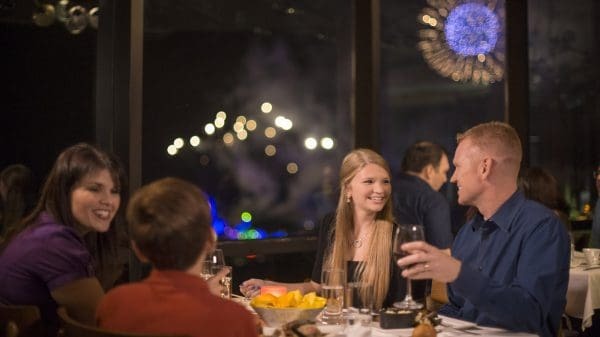 If you aren’t able to book an Advanced Dining Reservation that will allow you to dine during the fireworks, you can try to snag one for earlier in the evening, then move to the beach at the resort and watch the fireworks from there. Cons: Tables further back in the restaurant will require you to move/stand in order to see the fireworks. Since the World Showcase wraps around the World Showcase Lagoon, which is the stage for Illuminations, you have several choices of restaurants at Disney World for fireworks viewing from which to dine while you catch at least a partial view of the show. If this is your first time seeing Illuminations, your best bet to view the show as intended will be to find one of the many fantastic viewing spots along the perimeter of the lagoon. However, if you are an Illuminations vet or you just want to add a little extra entertainment or romance to a meal and don’t mind having a slightly (or more) obstructed view, then dining at one of the options below might be for you. 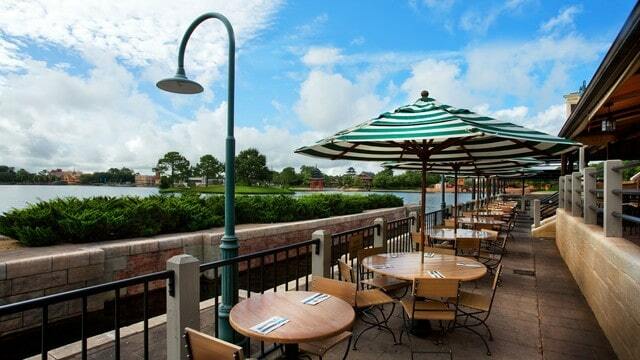 Pros: Some of the best views for dining while watching Illuminations. 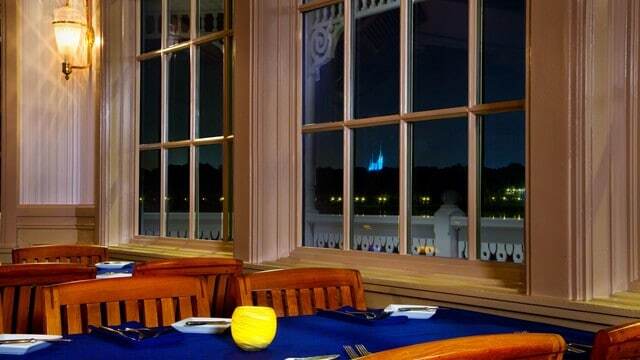 Cons: Some areas of the restaurant have no lagoon view at all, meaning you would have to watch Illuminations from the back of one of the dining areas that has a view. Pros: There is an available public walkway outside if your seat doesn’t have good views. Cons: Since there are several large pillars that can block your view, the best views are those along the windows. In addition, even though the outdoor walkway is slightly below the restaurant, you may still have people outside blocking your view from inside. Pros: A large portion of this restaurant is outdoors, which means there are slightly more tables available with water views. Cons: Even if your table is outside, the low-hanging ceiling might obstruct your view of the higher fireworks. Additionally, the islands in the lagoon can obstruct some aspects of the show. Pros: Since this restaurant is on the 2nd floor, there are fabulous lagoon views out the windows. Cons: There are very few tables that are positioned in front of windows and since the windows are small compared to other restaurants, people sitting further back will have a very limited view. Pros: Probably the best view of Illuminations while dining. Cons: Since this is such a popular place for dining and watching Illuminations, it can be very difficult to snag a table on the patio. 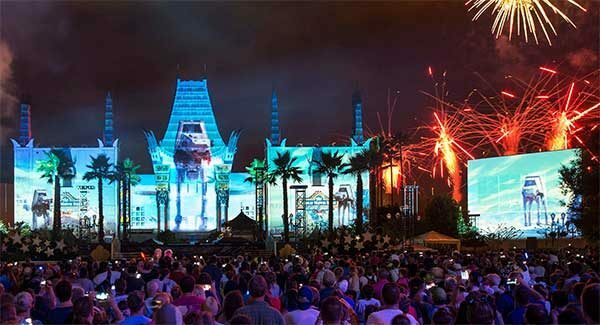 Throughout the year, Disney offers premium (read: expensive) experiences that provide guests with reserved viewing locations for Happily Ever After, Illuminations, and Star Wars: A Galactic Spectacular. While not a full meal, you can expect to have an assortment of desserts and beverages available while you wait for shows to start. But, understand that for many of these options, you are paying higher prices for the prime viewing location, with food and/or beverage being secondary benefits. Want to know more? Check out this detailed review for additional pictures and thoughts on this dessert party. Pros: The location of the party offers a great view of Illuminations with seats and after the show concludes, guests of the Frozen Ever After Dessert Party are escorted to Frozen Ever After for a ride with little to no wait. Cons: The party ticket is pricey for what you get. Cons: No chairs while eating (which can be tough to do with little kids) and part of the value comes from the alcoholic cocktails so if you have a large portion of your party that won't be consuming any you wont get as much bang for your buck. What about Rivers of Light and Fantasmic? There aren't restaurants or dessert parties with views of those shows so they weren't included on this list. Have you ever tried one of these restaurants at Disney World for fireworks viewing? Comment below and let us know what you thought! We are hoping to have a date night at Cali Grill while the grandparents take our boys to Chef Mickeys. Can they come watch the fireworks with us after their dinner? 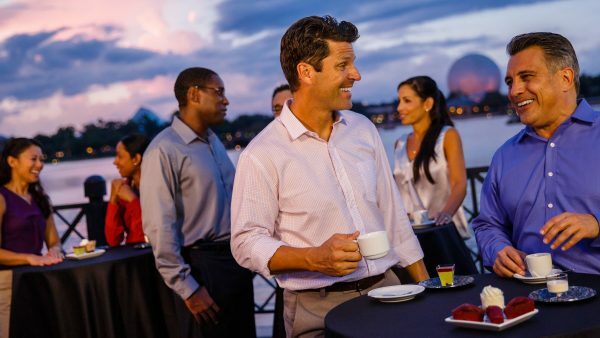 Hi Shannon, the Fireworks Dessert party at Tomorrowland Terrace is now $79 per adult and $47 per child! You get to sit down at this one though… They now also offer a Fireworks Dessert Party with Plaza Garden Viewing for $59 per adult and $35 per child, but it is standing view only, no seating. We are going for the first time in April and I sprung for the party at Tomorrowland Terrace, we can’t wait! 🙂 Thanks for alllll of your advice and podcasts too! you make my commute home from work a little more bearable. I traveled with my husband this past June to Orlando for a business trip. His company would not pay for a WDW resort so we stayed at the Wyndham next to Disney Springs. We were able to get a reservation for Narcoosees about an hour ahead of time. The food was excellent. A little over priced but it’s Disney and we had no kids so we didn’t care. We had a table in the middle and had a direct view of the castle. We watched the fireworks at Magic Kingdom, watched the electrical water pagent and then were also able to watch the fireworks from Hollywood Studios. To top it off there was a huge full moon that night. I would go back in a heartbeat. What time did you make your reservation for? I just wanted to add a little tip from my experience last week. I had a 7:45 reservation at La Hacienda de San Angel and was hoping to snag a table by a window to watch Illuminations. I was told I could not request a window table because I was not at least 15 minutes early to my reservation. Just wanted to pass that info along in case it helps someone else. We were able to get a great view outside in Mexico and enjoyed the show regardless! 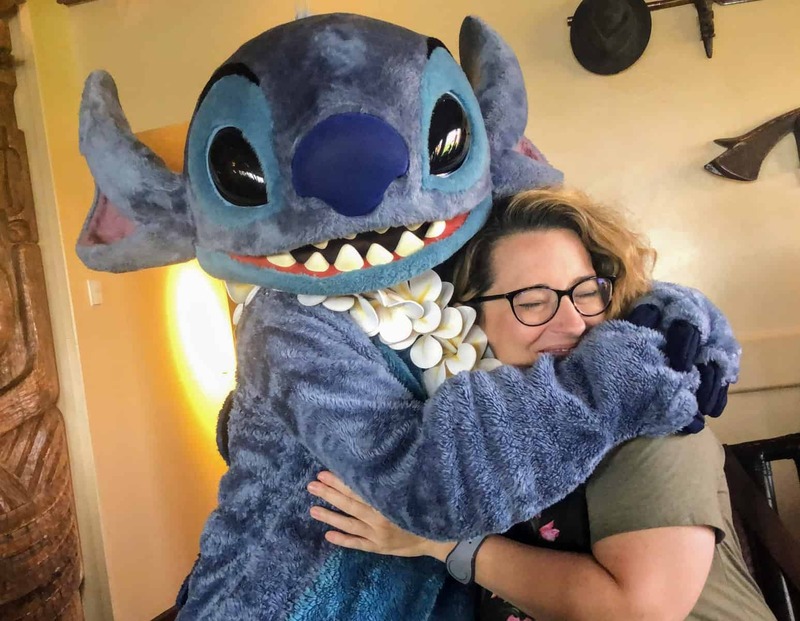 I attended the Wishes Dessert Party in The Magic Kingdom just last week and it was the highlight of my entire trip! I was greeted by name and given a glass of “champagne” and taken to my personal viewing seat with my name card waiting for me. I had a perfect view of the fireworks and Tinkerbell flew right over my head. The desserts were to die for! I will confess I had two helpings of the creme brulee! I felt very pampered and special and it was so worth the price! The setting with little lanterns and white linens at each table were very beautiful! I would do this party again in a heart beat! Thanks for the info! We are going for the first time in April and I booked us for the Wishes viewing at Tomorrowland Terrace. Can’t wait!!! 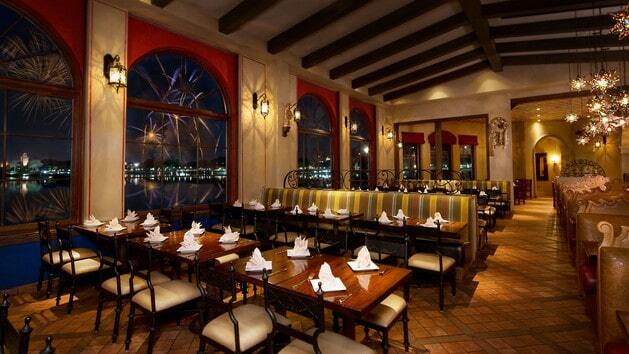 I just got a reservation for La Hacienda de San Angel for 7:45. That is my mom’s birthday and we are taking her with us on this trip. She can have a birthday dinner with fireworks! Thanks for the great post! Question: Should we call ahead and let them know it’s her birthday and ask for a seat by a window, or would that be asking too much? Absolutely call and ask. The worst thing that can happen is that they can say no. And in that case, ask if they have any other suggestions for what you can do to make it special. I’m sure you hope for great viewing while seated at the restaurant, but you can always go outside and watch standing anywhere around the lagoon, which is often a better view. I don’t know how old your mom is, but for her birthday, maybe rent a drive-it-yourself wheelchair. My mom loved hers! Again, call and reserve ahead because they run out of them on busy days. 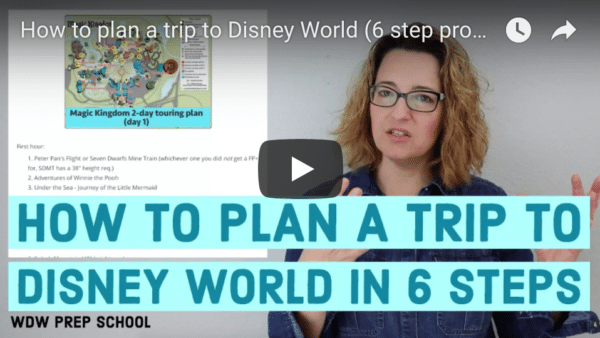 The Disney folks are trained to be helpful, so take advantage! Mention the birthday – they may also have suggestions. Our family lucked into a window table at Tokyo dining last year, the view was great. 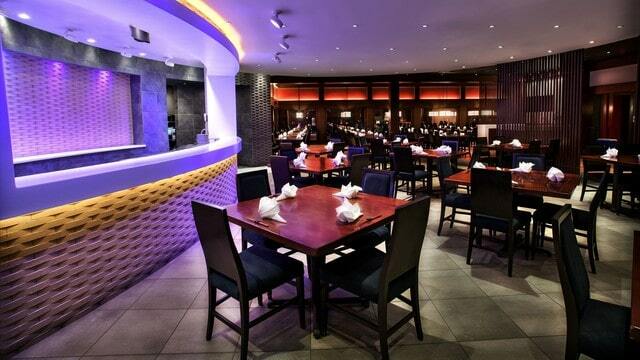 We had an 820 reservation, I believe? I made it on my phone about 3 hrs beforehand on my phone while we were on the bus from Animal Kingdom. I just couldn’t eat at the food court at my resort again! We also did the Tomorrowland Terrace dessert party–don’t waste your money. You have to stand at the rail with everyone else anyway. I thought we watched from our tables, and after a long day at MK I was daydreaming about sitting down. Fantastic! If you happen to have pics of what the fireworks looked like from your Tokyo Dining table, please send it to me. Would love to see it. I agree! They say is behind a pole! I meant… Sat us behind a pole!!! Whoops!